Acton Academy helps K-8th grade students discover and grow their unique strengths — because the world needs them. My kids love going to school everyday because Acton is built to help them find their voice, take charge of their education, and practice collaboration and self management with a fun group of peers that is truly a community. Acton Academy uses the latest technology in a self-paced learning environment designed to foster responsibility, goal-setting, and teamwork. Acton students are empowered to thrive in a world that needs independent, motivated thinkers and learners. 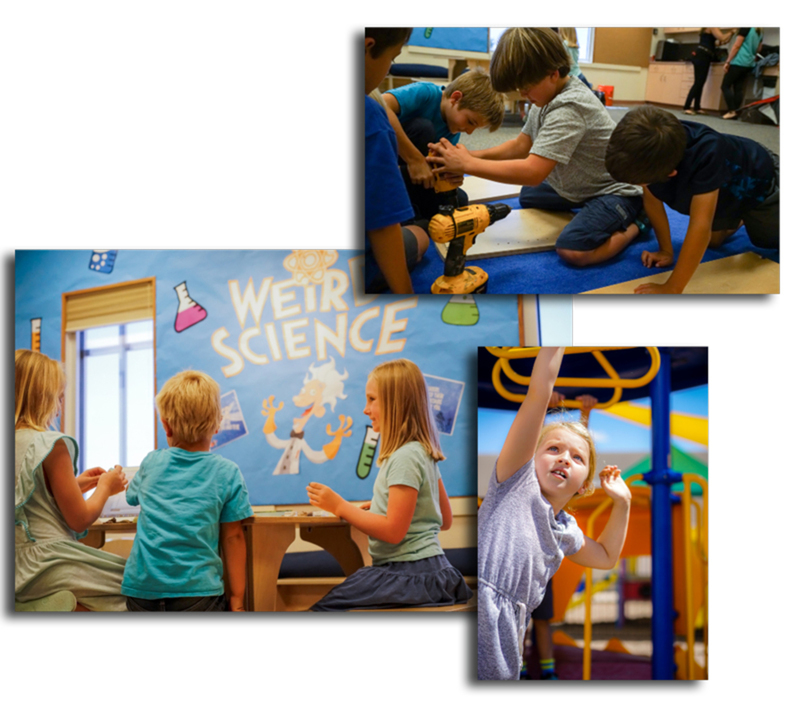 We believe children learn best by doing. Whether it’s launching a startup business, creating a tidepool habitat, playing a musical instrument, painting a mosaic, or programming a robot, Acton students are building real-life skills in the classroom every day. We believe the learning experience is much richer when the teacher (“Guide”) offers insightful questions and facilitates hands on learning. Guides use the Socratic method, always responding to students’ questions with new questions. This exchange hones students’ critical thinking skills. Acton Academy is “student led.” This means young people take ownership of their education and peer relationships. Acton students learn to think independently, take responsibility and embrace challenge. They are being prepared to bring their own unique genius to the world. We believe in the power of apprenticeships. Beginning in middle school, our students obtain summer internships in a field they are passionate about. Acton students have interned with doctors, entrepreneur bakers, plumbers, attorneys and graphic designers. What will your child choose? We encourage our students to develop personal virtues such as honesty, hard work, responsibility, kindness and empathy. Armed with purpose and good character, we believe our students will launch into adulthood prepared to find their calling and change the world. Are you frustrated with the old, traditional educational model that teaches students to spit out facts and pass state-mandated tests? Watch this documentary video to see how Acton Academy is turning education upside down. 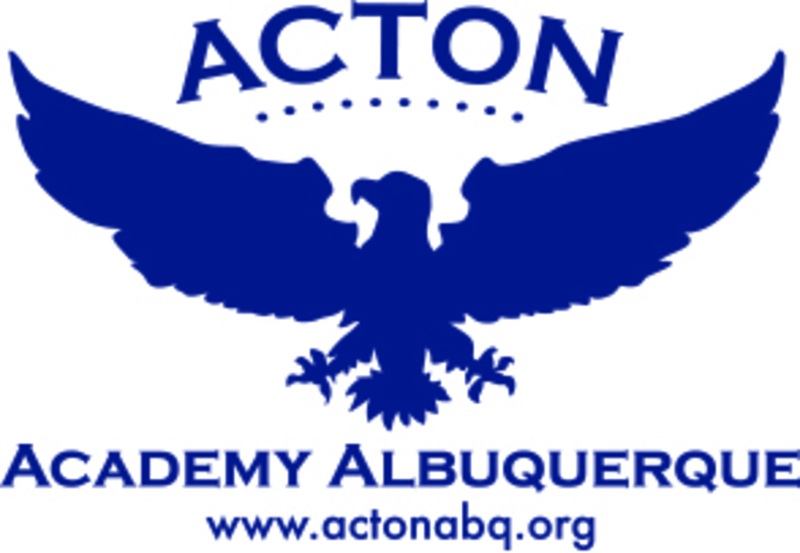 Acton Academy Albuquerque admits students of any race, color, national and ethnic origin to all the rights, privileges, programs and activities generally accorded or made available to students at the school. The school does not discriminate on the basis of race, color, national or ethnic origin in the administration of its educational policies, admissions policies, scholarship and loan programs, and athletic or other school administered programs.